Oncologist with (RCSI) and Chair of Breast Cancer Ireland. The event which saw more than 1500 participants take part in 5k and 10k races is dedicated to raising funds for Breast Cancer Ireland. This year, so far, the Great Pink Run has raised €370,000. Organisers were thrilled with the turn-out in Kilkenny. 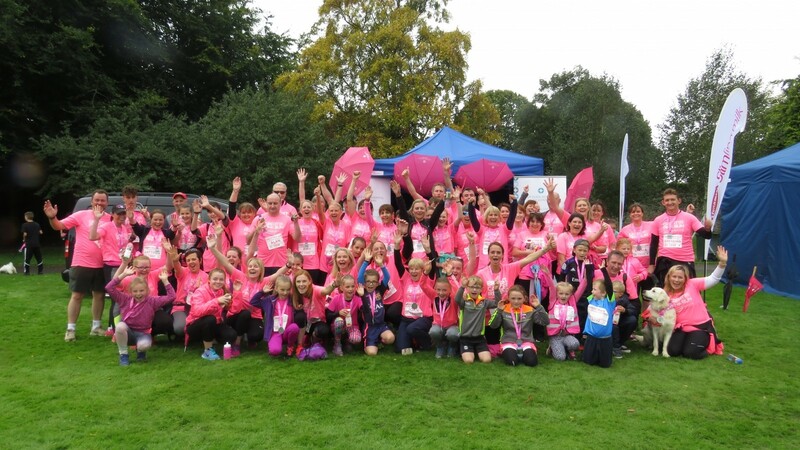 Runners and walkers, young and old, breast cancer survivors, current breast cancer patients, their families, friends and pets, all donned their pink t-shirts and followed the legendary Sonia O’Sullivan, who kicked off proceedings, around the Castle Park. 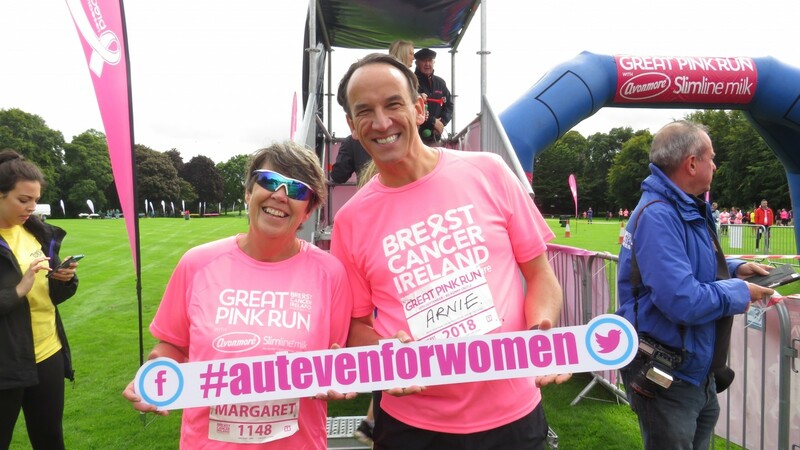 Margaret Swords, CEO Aut Even Hospital Kilkenny said: “It was an honour for us to the co-sponsor of the Inaugural Great Pink Run in Kilkenny. Not only is this a really worthy cause but to see our staff, their families and friends and all the runners take part with such enthusiasm, commitment and fun was really brilliant. I and many people I spoke with at the event are already looking forward to next year’s run. Congratulations to everyone who took part and organised the event”. Aut Even Hospital were the proud sponsors of the event in Kilkenny.